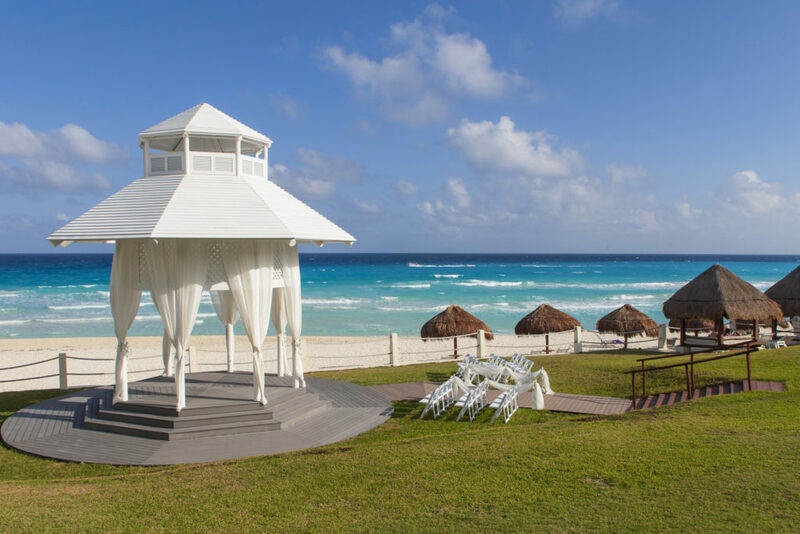 Best Cancun Wedding Resorts: Which One Should You Choose? Is there anything better than tying-the-knot in paradise? 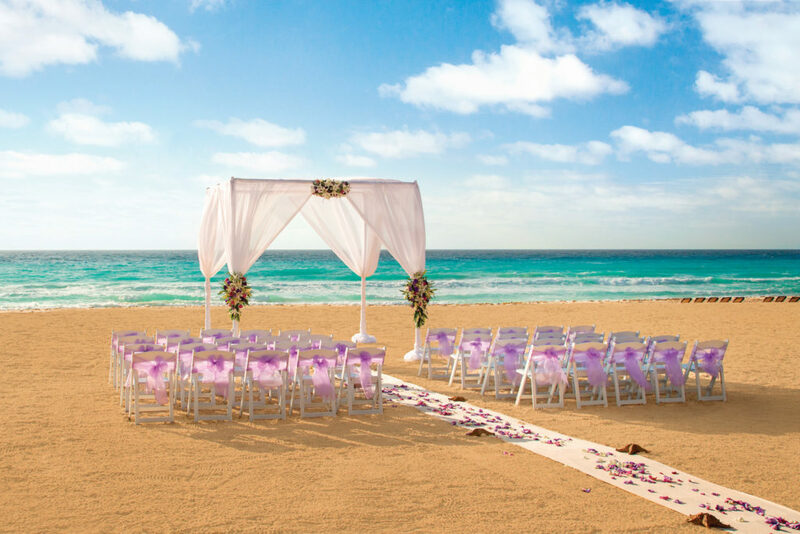 Between the white sand beach, beautiful weather and amazing accommodations, getting married in Cancun is perfect for any couple looking to exchange vows. 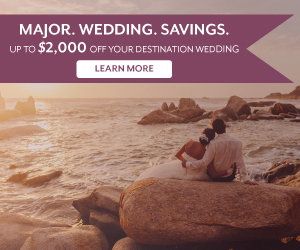 The hardest thing about planning a destination wedding? Choosing the resort! Finest Playa Mujeres offers you one of the best you have been waiting. What better way to exchange your vows than with a magnificent view of the Caribbean seascape? If that doesn’t suit you, take the ocean side altar and show your love to the world standing barefoot on the powdery sands! The outdoor terrace is a perfect spot for a cocktail feast. You also have the option of utilizing beach side lounge designed under a thatched roof. So rustic! 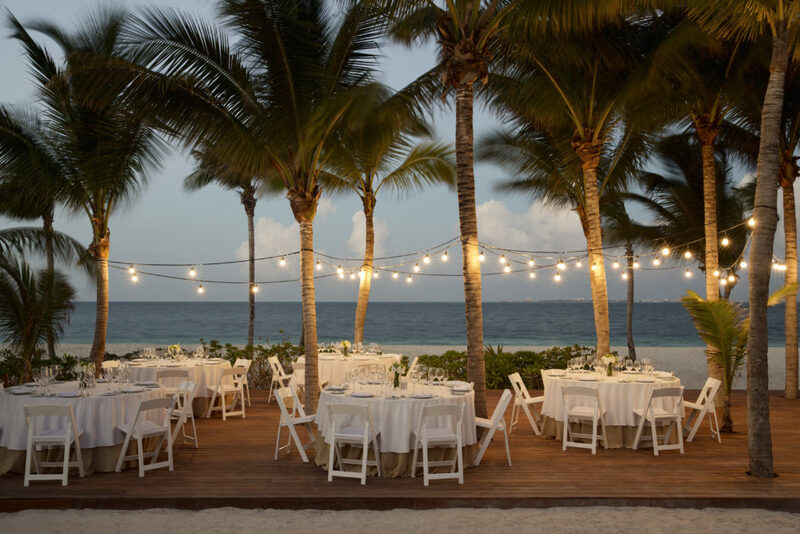 Sandos Cancun Lifestyle resort is a perfect getaway for an unforgettable wedding party. You and your guests will enjoy gourmet cuisine, expansive views, amazing service, pristine beaches and all the amenities this resort offers. 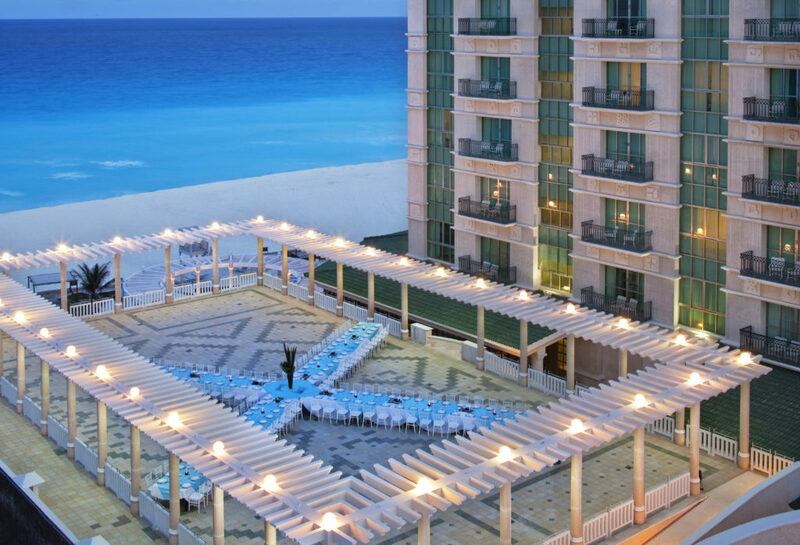 Hyatt Zilara Cancun accommodates up to 350 guests, with enough space for a dance floor and stage! Exchange vows in an oceanfront gazebo, poolside gazebo or wedding chapel. Whatever your wedding vision is, Hyatt Zilara delivers. 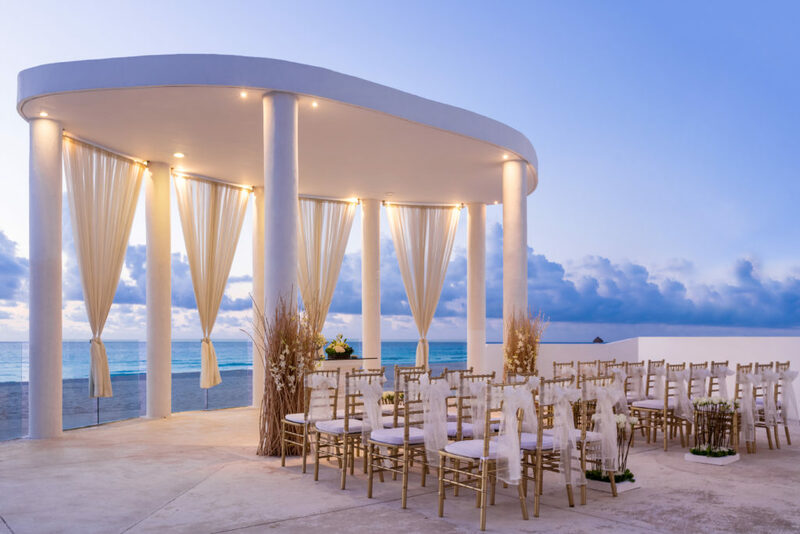 At Secret the Vine Cancun, a beautiful wedding gazebo or beach set-up is perfect for your nuptials. After your ceremony, you and your guests can meander to your memorable reception in an elegant ballroom. The photography possibilities are endless! 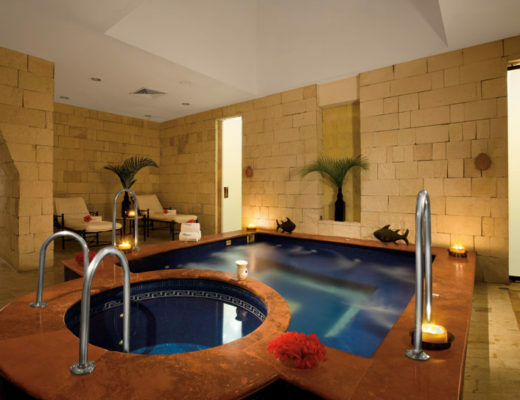 Magic awaits at Le Blanc Spa Resort, where elegance meets relaxation. Wedding packages come with special butler services on the day of the wedding, complimentary sparkling wine, a dinner reservation and spcial breakfast in bed for the morning after. Don’t forget to take advantage of all the spa amenities! 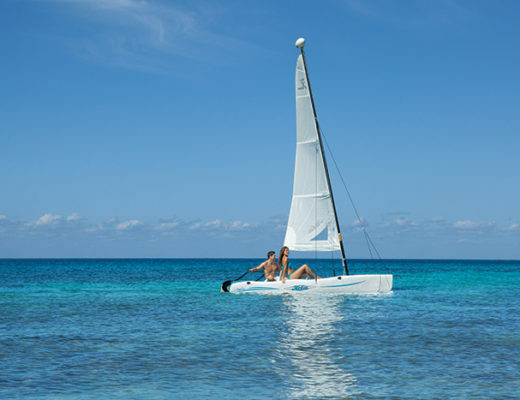 Paradisus Cancun is not only a luxurious resort but also a leading destination for couples searching for dream weddings, memorable honeymoons, and unending romance. Get new start with modern amenities sitting on rare spectacular views of Cancun, beautiful scenery and luxurious hospitality. 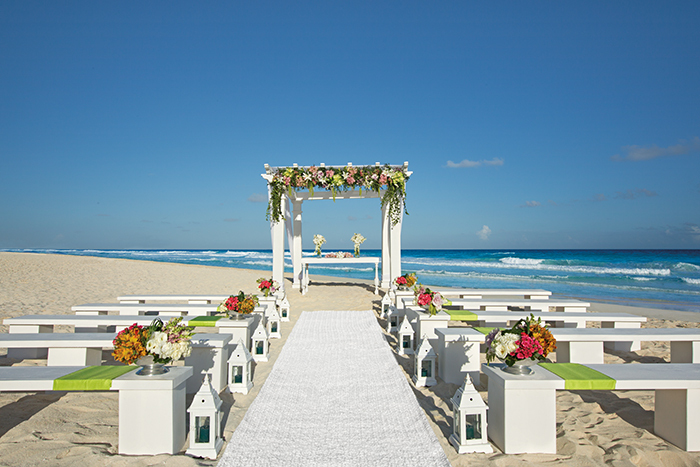 Whether you’re planning a garden ceremony, terrace vow exchange or beachy nuptials, Cancun has it all. With all of these amazing accommodations, you’re bound to find the best all inclusive resort for you!